The housing market was battered but the Fed kept mortgage rates low and attractive purchase loan options have helped spur the recovery. Many economists have called this a prudent time to buy a residential real estate. A "purchase loan" is a term used to describe financing for a residential home. In an effort to be competitive, Nationwide lenders make every effort to guarantee the best rates for qualified home purchase applicants online. We can match you with home loan lenders that offer flexible 1st time home buyer loan programs with government and private money finance options. We encourage you to shop online and choose from a wide variety of popular purchase mortgage programs like conventional, jumbo, VA and FHA. We offer a wide variety of home purchase money solutions for borrowers with all types of backgrounds and credit. Most of our online customers enjoy their experience with BD Nationwide because we deliver useful info on first time home loans with connections to credible companies that extend competitive purchase mortgages with superb service. Did you know that buying a home will be a lot easier if you are prepared with a pre-approval from a trusted lender that spells out the terms of the proposed home purchase mortgage? Meet our purchase money lenders and you will appreciate how they hold your hand and walk you through the home financing process to reduce the hassles of becoming a homeowner. Most people have their home loan for about thirty years. That means the characteristics of your home loan will impact the rest of your life! As a first-time home buyer, it's important you become as knowledgeable as possible about your loan options. 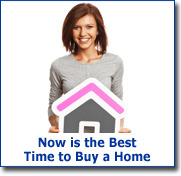 When people embark on the journey of first time home buying, they frequently do not know where to start. However, there is a purchase mortgage product that meets their needs: The FHA which is managed by the Department of Housing and Urban Development offers an affordable first time home loan with flexible requirements that is designed to stimulate home ownership in the United Sates. FHA stands for Federal Housing Administration – is a wing of "HUD" created to help American people achieve the goal of owning their first home. The organization does it by accrediting companies that develop purchase mortgage packages supported by FHA insurance. Many new house buying prospects like FHA for first time home loans because you only need a 3.5% down-payment and the government finance program is more flexible when it comes to credit. Get a quote from a competitive lender for free with no obligation. Please complete the quick form below and one of our home loan specialists will follow up with shortly thereafter. Buying a home offers many financial benefits. Becoming a homeowner offers significant advantages like tax deductibility. Borrowers can write off the interest of their mortgage payments monthly in most cases. Read more > Mortgage for First Time Home Buyers. Get Approved for a Purchase Loan with a Great Rate! Consider what you are paying now every month to rent and then realize that you may get into a better home for the same or less money each month. Then when you factor in the benefits of homeownership, it would be difficult for you to walk away from a low rate purchase loan that helps you meet your housing needs. Our lending partners have helped thousands of first time homebuyers get approved for home purchase loans that are affordable and cost-effective. Connect with one of our home loan lenders and you appreciate how much experience goes into each one of our purchase loans. Nationwide provides more info on unique opportunities for first time home buying loans and existing homeowners to find competitive purchase loan rates without the hassles. Let the experts help you find loans for home buyers. The fact remains that there are many affordable home mortgages for people with a wide range of credit ratings. The FHFA is now involved in setting the limits on home purchase limits. Like FHA, they have designated higher loan amounts for areas of the nation that are determined as high-cost regions that deserve raised loan limits. When you a ready we will introduce you to lenders that can educate you on the latest mortgage standards for home buyer loan programs from Fannie Mae, Freddie Mac, VA, FHA and many more private mortgage sources in all 50 states. New home buyers find themselves in good position this year because home prices have declined and interest rates are at record levels. Don't wait for rates to rise. Consider several purchase mortgage loan programs with attractive incentives like low rates and no closing costs. Act now and get the info you need about getting pre-qualified for an affordable home purchase loan with credible lenders. Experienced Local Realtor - 1. Experienced Local Realtor - Buying residential real estate can be complex if you work with the wrong people. You need a realtor who understands your neighborhood while also having experience buying and selling properties in the region. Lender that Specializes in Purchase Mortgages - Most brokers and lenders on television specialize in refinancing rather than offering home purchase loans. Uncover new opportunities that may not require as much money. Ask about the details of new down payment assistance home loans that could help you jump into the real estate game. Master Your Budget - Do not buy a house you cannot afford. It is imperative that you know your finances and create a budget that you stick to. Don't let a friend or realtor talk you into a house that is outside your budget. This purchase loan calculator enables you to compare the total interest charges of several types of purchase mortgage options. "My friend referred me to Nationwide after he was successful in financing a new home. He had credit problems and been rejected from other lenders, but was able to get approved for a fixed rate purchase loan that stayed within his budget. I was relieved to get approved and the customer support at Nationwide was excellent. I will recommend my friends and family to Nationwide when they are serious about buying a home. - T. Baylor, Olympia WA. "A few years back, we searched online for a loan to buy a home, but after getting denied by several well-known banks we decided to put our housing dreams on hold for the time being. A friend recommended Nationwide and we were pleasantly surprised because they had no problem finding a purchase mortgage program with our credentials. Within 30 days we were happy homeowners with a monthly payment that we can afford. - K. Hutton, Fresno, CA. "Finally, we found a loan company who was able to help us get approved to purchase a home!" "Thanks to Nationwide, for helping us become homeowners." "We were turned away numerous times from banks but somehow Nationwide approved us for fixed rate purchase loan that meets our budget!" "As a first time buyer I was very nervous about getting approved for a purchase mortgage that I could afford. My loan officer, Tammy at BD Nationwide walked me step by step through the myriad of the loan process until our loan closed. Thanks for going the extra mile!" "I found BD Nationwide when doing a Google search for lenders for first time home loans. They helped us find several companies that took chances on people that low credit scores. We paid nothing for the advice and ended up becoming a homeowner with a better housing situation." "I’m recommending, BD Nationwide to all my friends and family on Facebook, because they took care of me by getting me the lowest home purchase loan rates available online." Please be aware that this is not an advertisement for credit. Nothing on this site contains an offer to make a specific home loan for any purpose with any specific terms. This is a web-site and cannot make purchase loans. BDnationwidemortgage.com cannot guarantee pre-approvals or qualification as they can only be obtained by mortgage lenders licensed in your state. Home purchase loans and rates are subject to change. BD Nationwide was affiliated with a federally chartered bank located in Maryland licensed to offer home loans in all 50 states. Copyright © 2001-2019, BDnationwidemortgage.com. All rights reserved. Do not duplicate in any form. Please be aware that guidelines are subject to change on the home purchase loan.